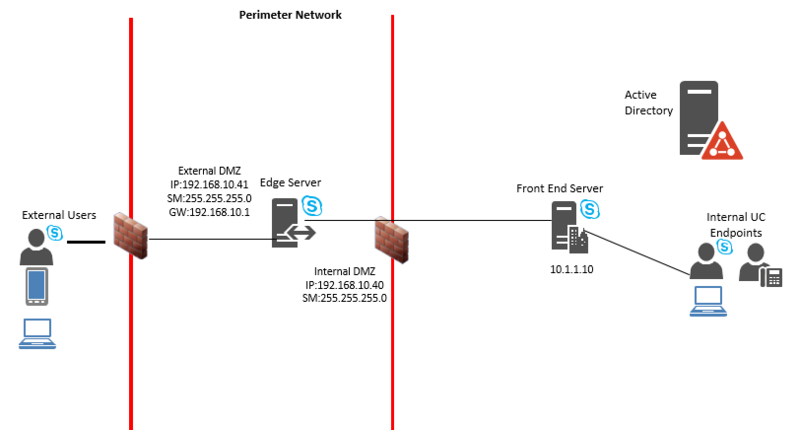 At a recent deployment of a Skype for Business Edge Server, the clients DMZ network only had a single subnet 192.168.10.X. 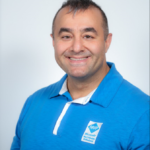 So we have to add 2 Network Interface Cards (NICs) to the server however each of the NICs will be on the same subnet but we will create static routes to force the traffic to the internal/external network via the appropriate NIC. We created a static route for the Internal DMZ NIC by running this command: netsh interface ipv4 add route 10.0.0.0/8 “Internal DMZ” 192.168.10.1 , when the command is run we entered route print to see the routes. 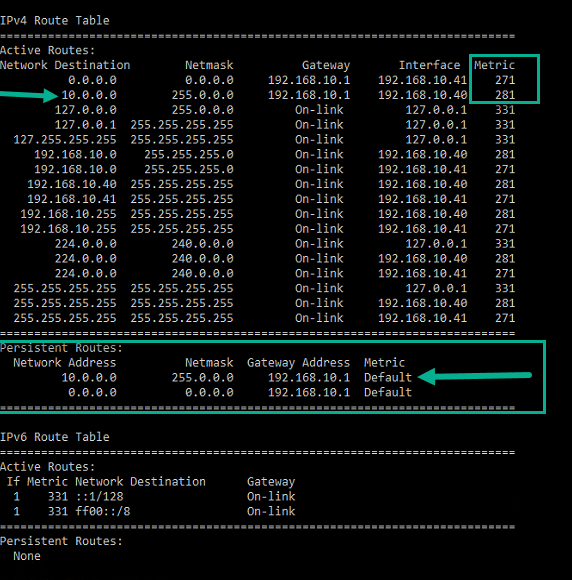 As you can see the persistent route was added for NIC 192.168.10.40, however when we were doing our tested the traffic was not routing from 192.168.10.40 to the 10.0.0.0 subnet , it was routing through the 192.168.10.41 NIC. 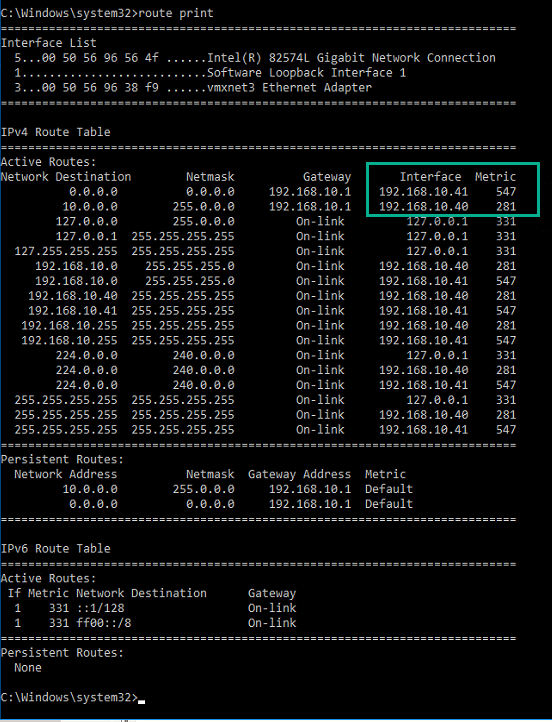 In the route print you can see that the 192.168.10.41 NIC has a lower metric then the 192.168.10.40 NIC. In order to fix the issue we needed to modify the metric on the External DMZ NIC so that it has a higher number. Click Ok – 3 times. As you can see the External DMZ NIC has a higher Metric value than the Internal DMZ NIC and the media began flowing correctly.